Wyebrook Farm is a 355 acre historic sustainable farm located in Chester County, Pa. Purchased in 2010 by the current owner, the land has been continuously farmed for over 200 years, however the buildings had gone into disrepair. 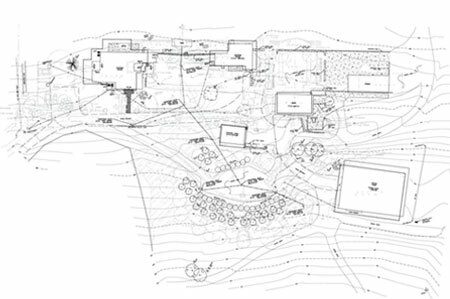 After conversation with the owner, we first provided a Master Plan for the various buildings on the farm – some of which date back to the late 18th C. Following this Master Plan, we began renovations of the main stone Farmhouse. (The smaller Caretaker’s residence and Wood Garage were also renovated and repaired.) The focal point of the Farm is the beautiful 18th C stone Barn which we renovated for use as an old-style Farm Market. Similar to the way in which the animals are raised on the farm, the entire property follows green and sustainable principles with geothermal wells, solar power and extensive storm water management / reuse.